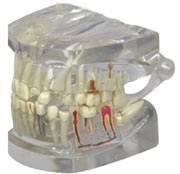 Full size hinged clear cast jaw to allow viewing of roots. 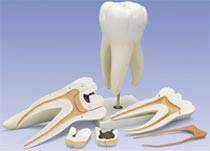 Giant molar with dental cavities for patient educational purposes. 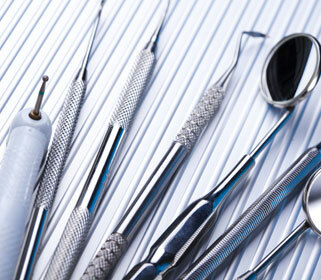 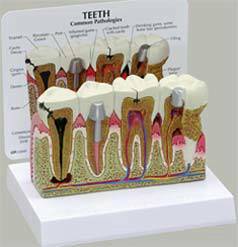 Giant dental care model for patient educational purposes. 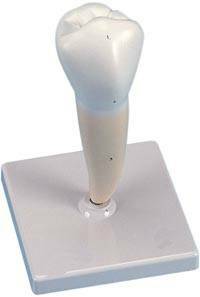 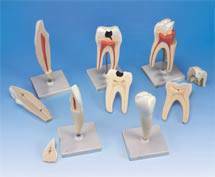 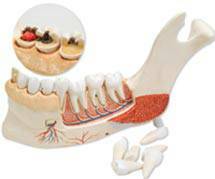 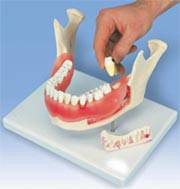 The dentition development model for dental eduacation purposes. 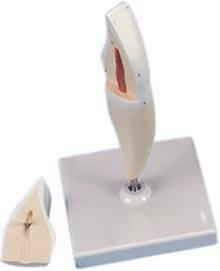 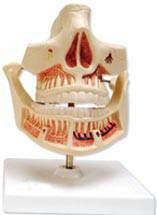 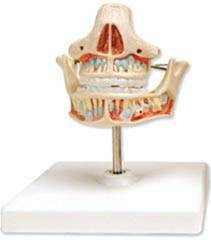 The model represents half of the left lower jaw of a young person. 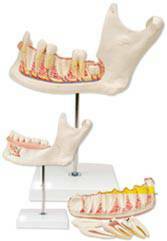 Four part tongue anatomy models. 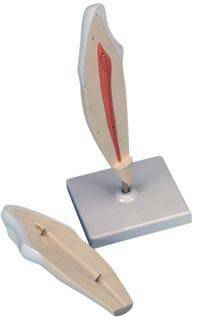 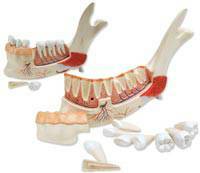 11 Part half lower jaw anatomy model.